The Pittsburgh Parks Conservancy is a nonprofit organization in Pennsylvania with the mission of restoring the park system in Pittsburgh to excellence in partnership with government and the community. 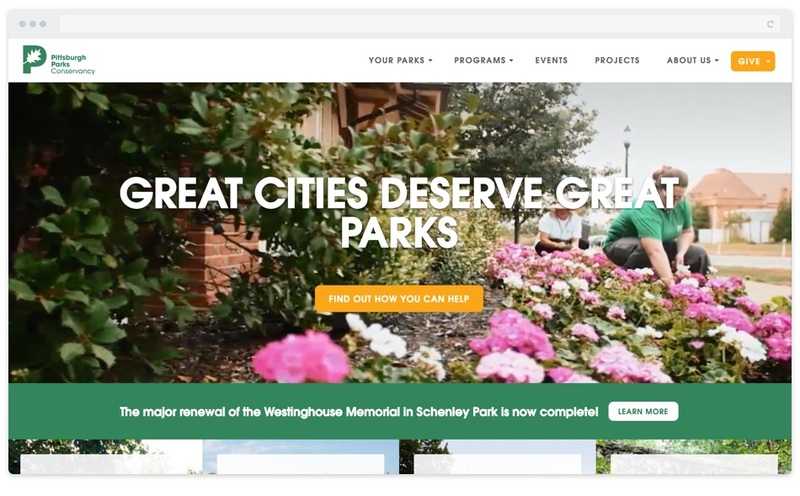 Pittsburgh Parks came to Media Junction in August 2015 to solve the main goal of improving lead quality, increasing sales, and streamlining the sales process. They were also not seeing enough donations through their site. 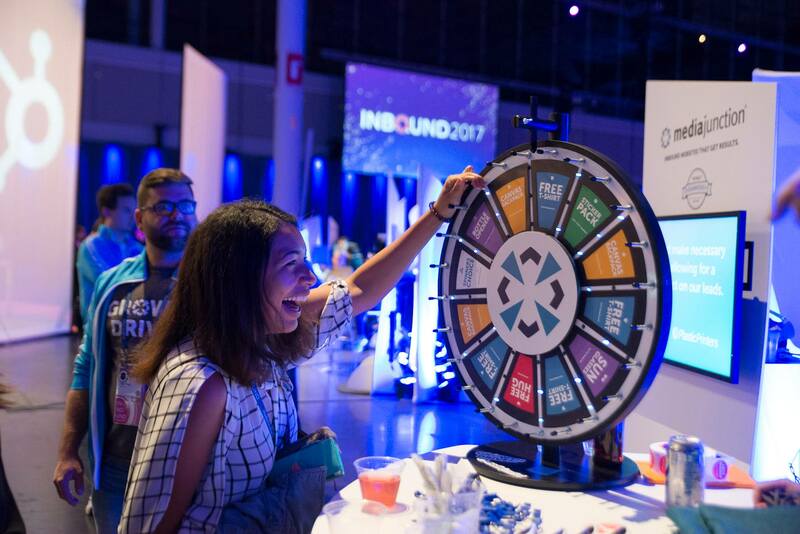 Their main objectives were to build awareness, drive more online donations and improve the overall website experience for their visitors. Media Junction set out to immediately improve the user experience of the website for some noticeable return. Working with established personas, we began analyzing the user journey and Hotjar analytics, and armed with that data, we redid their site navigation. A Big Priority of This Project Was to Increase Donations. We changed the confusing navigation link titled ‘Support’ into the actionable ‘Give’ and increased its prominence through design. Being in the parks mindset, we went for bold, bright, light-colored text with overlays and full, bright pictures to share the beauty of the parks. Page design was updated for a big, graphic tile layout with a sub-navigation for enhanced experience, and a notification bar added. Being a growth-driven project, we began to make improvements almost immediately after launch. Our analytics showed us that on the homepage, the four card-style links were designed in a way that users stopped scrolling because they thought the design ended with the cards. By moving the text to the top of the cards, we saw an immediate increase in scroll. We also changed the layout for the Parks’ Summer Camps page to even content columns. This allowed visitors to get more information quickly and comparatively, which is what they sought most when reviewing Summer Camps information. In May, we added a video to replace a static image on the homepage, then did testing performance of the page to compare the effect on page load. We adjusted the video file as necessary and ended up with a largely similar page performance as was with the static image. One major benefit of growth-driven design is that Pittsburgh Parks comes to us for strategy for any one-off events. One such event we helped them with was Opt412, which was essentially a microsite within the main website. We created the Opt412 template, page, and new navigation for this local event to fit in with the main page design. We also focused on conversion optimization and analysis, including email campaigns, e-books, checklists, and whitepapers. One month after launch, we saw a 17% increase in organic traffic. Organic contacts also went up 13%, which was a 1,242% Year-to-Year increase! We configured and launched acknowledgement emails for donations so by month 4, we saw a 118% increase Month-to-Month in email traffic. Results for 1st Quarter: 32.4% Month-to-Month increase in conversions. Month 6 we continued our efforts to refine and saw saw a 48.6% increase in social traffic, a 5.61% in direct traffic, and a 72.1% increase in paid search over last year. Results for 2nd Quarter: 186% Month-to-Month increase in email traffic. Year-to-Year, this was a 64.7% increase. Our engagement with Pittsburgh Parks continues and we are laser focused on achieving results and increasing the number of qualified leads, email subscriptions, and online donations. The exciting part is we have seen these numbers increase after we've paid attention to user behavior and made changes to better the users experience. We are excited each month to share performance metrics with the Pittsburgh Parks team and update them on traffic, conversions, and donation page performance. "Their whole team is exceptionally hardworking, pleasant and responsive." The Pittsburgh Parks team was delighted with our strategies. 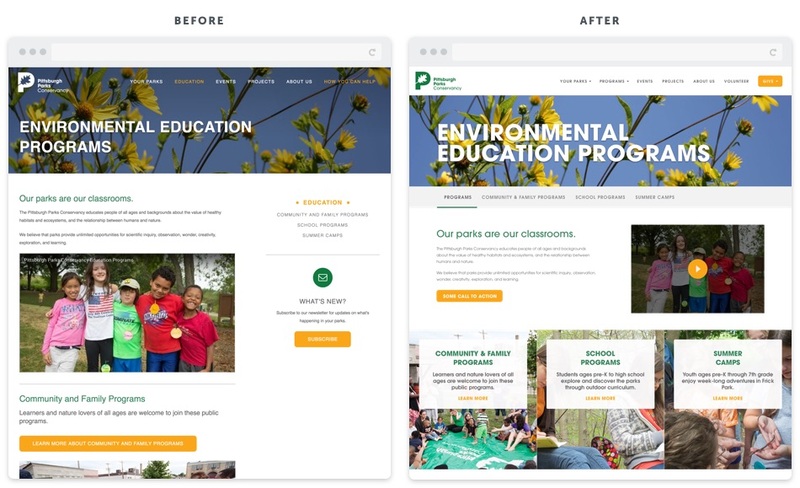 "Media Junction helped us completely overhaul our 8-year-old site, and worked with us on retainer afterwards," Lauryn Stalter, Online Engagement Coordinator of Pittsburgh Parks, said. "Their whole team is exceptionally hardworking, pleasant and responsive. What we appreciate most is how well they communicate with everyone on our team - they take the time to make sure everyone’s on the same page. We’ve loved working with them!"